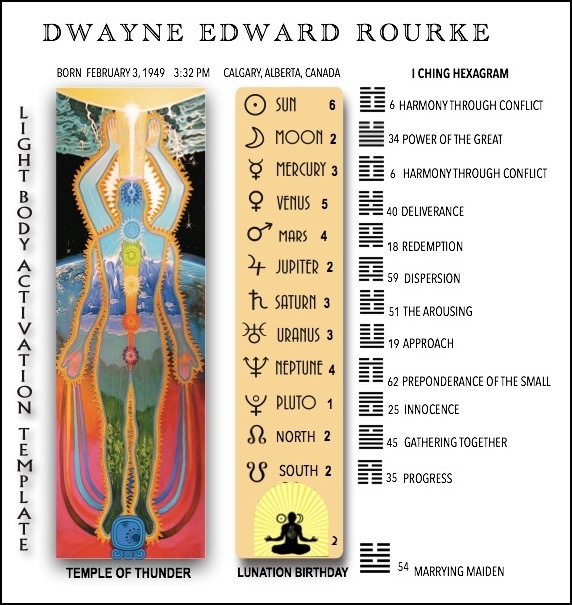 For those of you who find the LB template math too difficult or tedious to follow, I offer my mathematical and visual design talents to craft for you, a full colour presentation of your light body activation template, as shown below. Templates are approximately 6 in. x 5 in. and are laminated for durability. 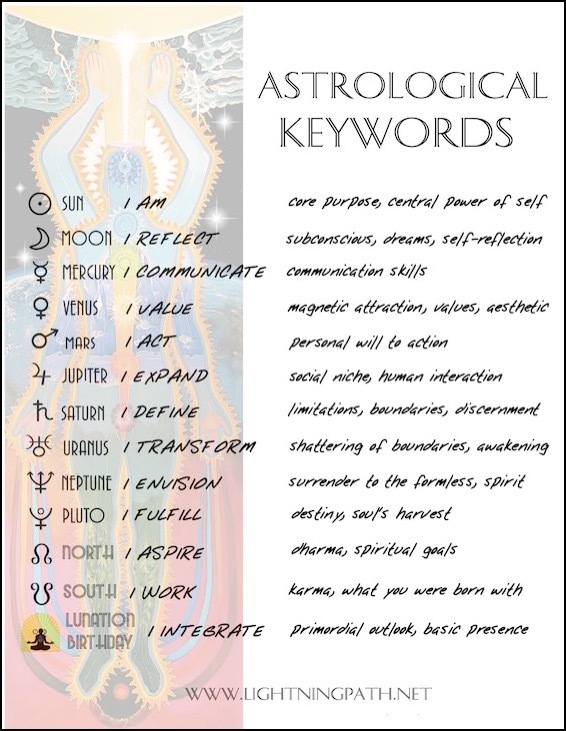 Astrological keywords are included on the reverse side. This graphic is a handy reference for anyone seeking to explore their complete Lightning Path birthright. 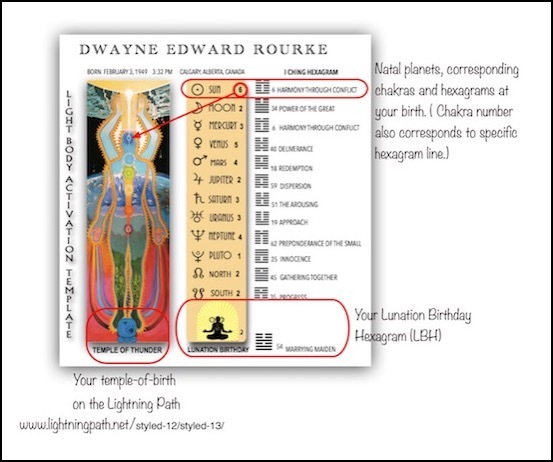 Quickly locate any planet, chakra, hexagram and/or line specific to your personal activation template. Year and day of birth. Birth time (as accurate as possible). Once I receive your order, I will confirm by email and will send you a PayPal payment link. Once I have received payment from you, I will begin fulfillment of your order and will ship it to you by Canada Post when completed.